Dawnlady is a well-bred Irish TB, whose good temperament and conformation have made her an ideal brood mare since she was injured during her first season of Point-to-Point. Her youngstock are wonderful. 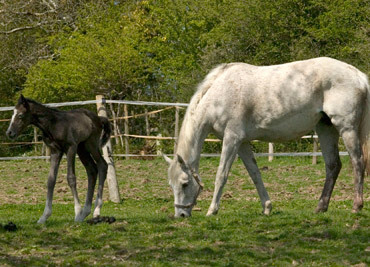 (see Competing and Foals and Youngstock).